West Brom and Egypt defender Ahmed Hegazi has been a Newcastle and Brighton target this summer. The Magpies manager Rafa Benitez must better his squad when compared to last season. 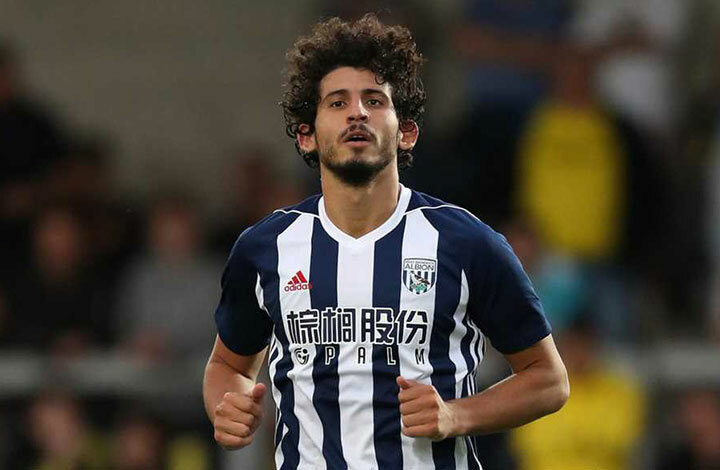 The Egyptian defender was one of the standout performers for the Baggies in their collective flop-show, which saw them get relegated to Championship football. 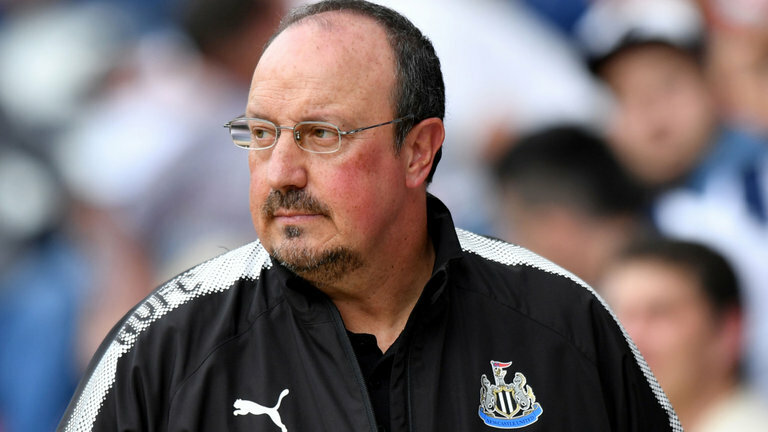 Newcastle are in the market for a new centre-back to cover up for the loss of Florian Lejeune, whose injury will keep him out of the action until 2019. Getting Hegazi will be a decent move for the club and the player, who must be eager to continue playing Premier League football. Rafa Benitez is an experienced manager with plenty of experience of winning big things and getting the best of his players. The Spaniard has done the latter with great effect at Newcastle, where first he took a mediocre (with all due respect) squad to the Premier League and then lead them to a top-half finish in top-flight football. Long story short, Benitez has done a miracle at St James’ Park with a negligible net spend and almost no support from the owners. Any player who is striving to improve and play his best game should be eager to play under a manager like him. So, Hegazi must join Newcastle and enhance his overall gameplay to uplift his prominence in world football. 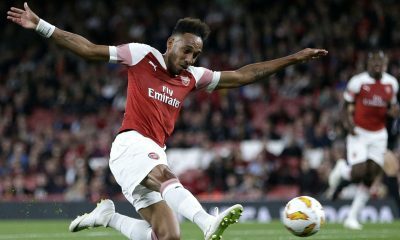 The Egyptian should get attracted by the prospect of playing under a man who has won European competitions in the past and is doing well at his current club. Benitez is undoubtedly an attraction for many players who want to lift their game and play to their full potential. Hegazi is a decent centre-back who has the talent to become one of the colossals of the game. He probably needs good coaching and man-management to let him play to the fullest. For that reason, moving to Newcastle will make complete sense for the 27-year-old. For Newcastle as well, Hegazi will be the right replacement for Lejeune. Signing the Egyptian will ensure that the club are well-prepared for the challenge ahead. 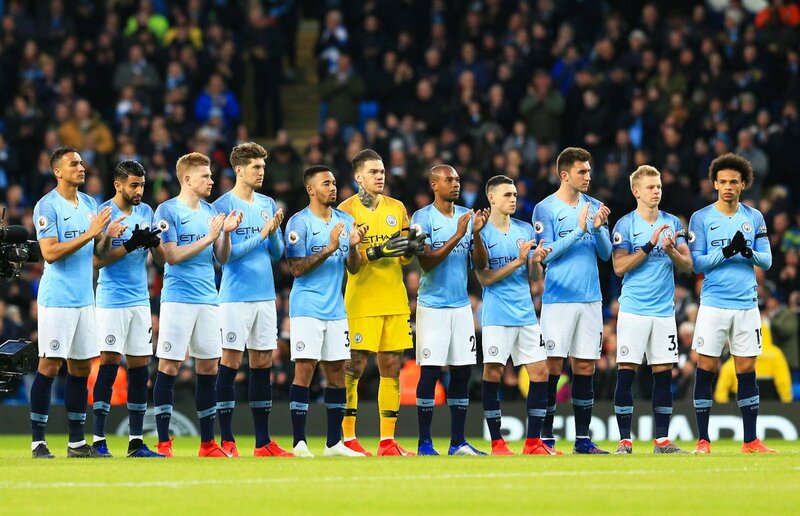 Man City leapfrogged ahead of Liverpool to reclaim top spot in the Premier League with a comfortable 2-0 victory over Cardiff City on Wednesday night. Pep Guardiola’s side will be looking to inch a step closer in their pursuit of the quadruple when they lock horns with Brighton and Hove Albion in the semi-finals of the FA Cup at Wembley on Saturday. The Citizens came from behind to beat Swansea City 3-2 in the quarterfinals of the competition, while Brighton edged out Championship strugglers Millwall on penalties to set up an intriguing clash at Wembley. Man City will be the strong favourites to progress to the finals while Brighton, on the other hand, will be looking for a major upset. Oleksandr Zinchenko suffered a hamstring injury in City’s mid-week fixture against Cardiff and is ruled out for the FA Cup game, while Guardiola is unlikely to risk Sergio Aguero on Saturday after the talisman missed the last fixture with a knock. Fabian Delph, Claudio Bravo and Benjamin Mendy are all long-term absentees for the Citizens. The Brazilian has been as solid as a rock between the sticks for Man City this season and he is surely an undisputed starter in the semi-final. 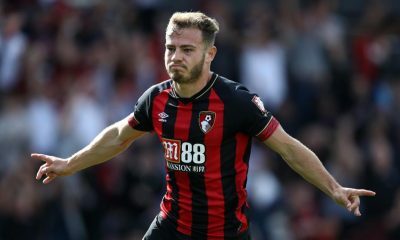 The Englishman came off the bench against Cardiff but he will be expected to start on Saturday. The veteran has slipped down the pecking order this season but Guardiola should rely on his experience and composure for this one. The Argentine international started in the quarterfinal victory over Swansea and might get his chance once again this weekend. The Frenchman has been one of the standout performers for City at the heart of the defence but he has also filled in admirably at left-back so Guardiola should rely on him to play in an unfamiliar role to cover for Zinchenko’s absence. 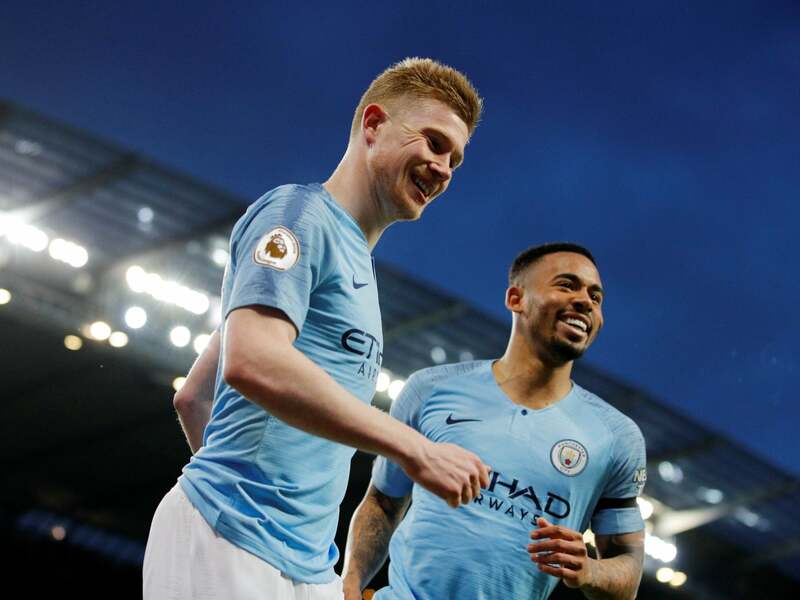 Fernandinho made his return from injury against Cardiff but Guardiola should be aware of not putting too much pressure on the veteran and the German might get a start in the FA Cup tie. 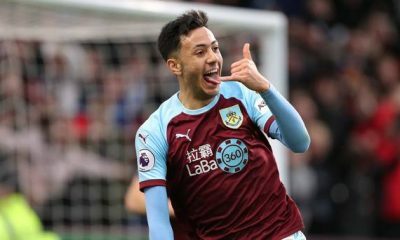 He didn’t feature in the mid-week game, which means that he is likely to be handed a start against Brighton in the cup game. 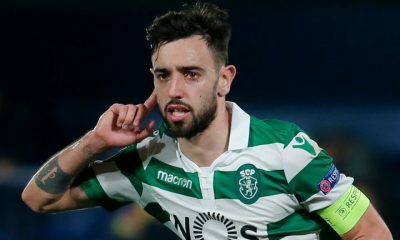 The Spaniard has been in blistering form for the Citizens this season and he is likely to start on Saturday after being rested to make way for Phil Foden in the mid-week game. He was rested for the game on Wednesday but Guardiola is likely to welcome him back to the starting eleven for the FA Cup semi-final. The German has been an absolute livewire down the left for City and they will be hoping for him to deliver the goods once again on Saturday. 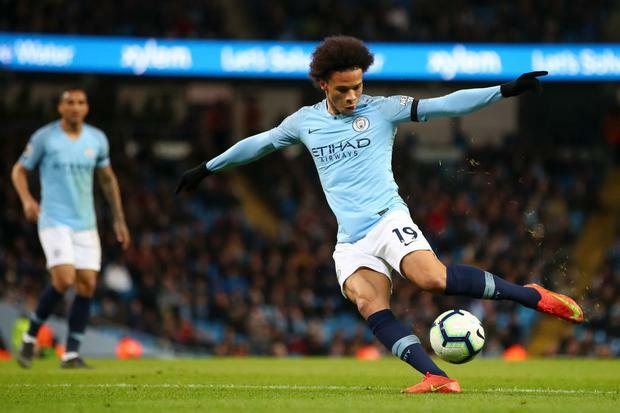 The Brazilian missed some simple clear-cut chances against Cardiff but the injury to Aguero might see him continue in the starting eleven. 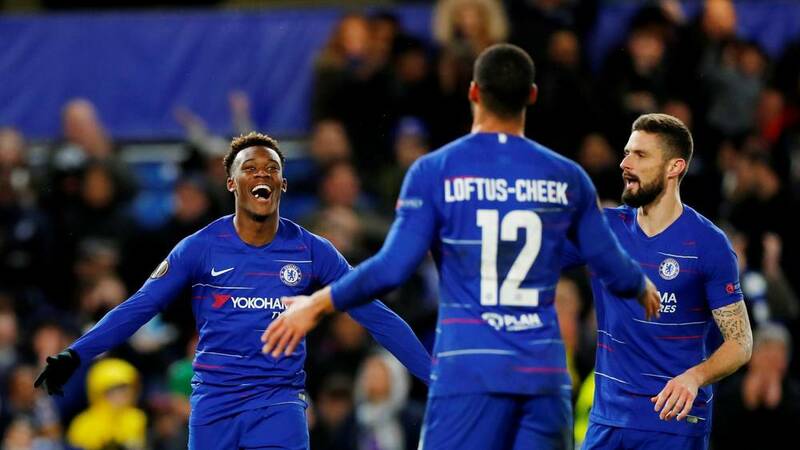 Chelsea were comfortable 3-0 winners against visiting Brighton and Hove Albion in the Premier League on Wednesday night. With 7 changes to the side that played in their narrow win against Cardiff on the weekend, there was a freshness about the Blues side. Chelsea opened the scoring in the first half thanks to a deft finish from Olivier Giroud while two curling worldies from Eden Hazard and Ruben Loftus-Cheek gave the rampant Blues their second and third goals respectively. With 3 points in the bag, the Blues moved up to 5th above stuttering Manchester United. Was a spectator for most of the match but was assured on the ball. Composed on the ball and sharp with his forward passing and movement. Chelsea’s secondary distributor, Luiz has a strong game at the back. Worked hard down the right and created some good chances. His usual collected self and won the ball back on various occasions. Controlled the pace of the game and even picked out some good balls. Scored an absolute blinder for Chelsea third and looked sharp all night. By far the most imaginative player on the pitch, he showed his worth. Held the ball up well and showed good instincts to tuck in the opener. The Belgian wreaked havoc down the left-side and scored a belter as well. Permanent starts for Loftus-Cheek, Hudson-Odoi, Christensen and Emerson and we may actually end up in the top 4 this season. Let's hope Sarri learnt a lesson tonight: the youngsters are ready for the PL. Involved in all 3 goals. Best line up we have right now… come on let's get top 4 and Europa.. Thanks for listening, now stick to this as the main lineup for the rest of the season and we've got this on lock! 2. Hazard on the scoresheet. 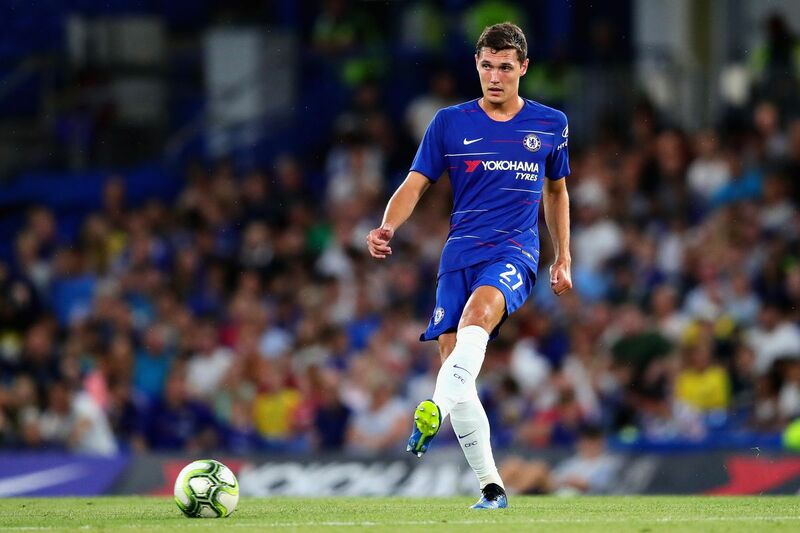 do you now see how important Christensen, Loftus-Cheek, Emerson and Hudson-Odoi? the team plays beautiful football when they’re all playing. 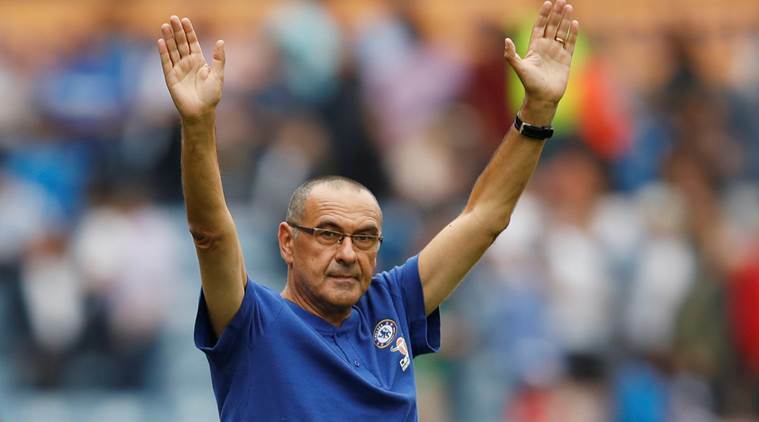 Chelsea welcome Brighton at the Stamford Bridge on Wednesday as Maurizio Sarri will look to get into the top four. The Blues were lucky to win 2-1 at Cardiff City on Sunday that saw them go level on points with fifth-placed Arsenal, who have played a game less than their London counterparts. Brighton, on the other hand, are just five points above the relegation zone and will look to earn a positive result at Stamford Bridge. Davide Zappacosta is out with a foot injury and is likely to miss the game against Brighton. Kepa is Chelsea’s first-choice keeper, meaning he keeps goal in every league game. Azpilicueta has blown hot and cold this season. 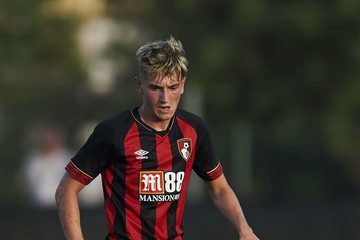 He will look to put in a solid performance against Brighton. 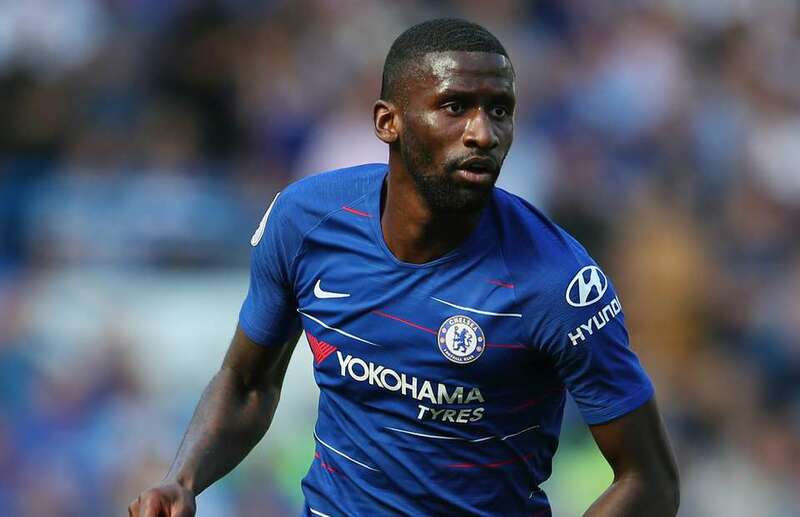 Rudiger remains the team’s first-choice centre-back and is in line to partner David Luiz for the home game on Wednesday. The Brazilian has been a regular fixture in Chelsea’s defence this season and is expected to start in the midweek game. Alonso has come under a lot of criticism for his performances this term. However, he still remains the team’s first-choice left-back. 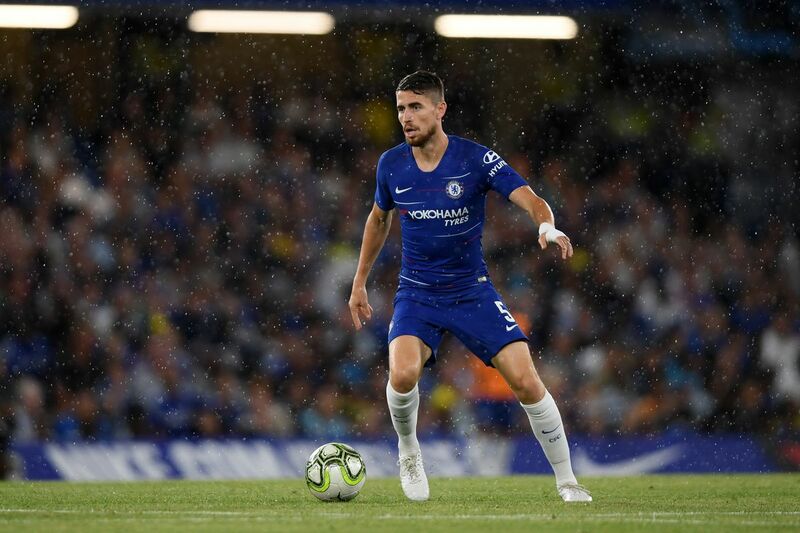 Jorginho is a vital cog in Sarri’s system and is certain to start against Brighton. 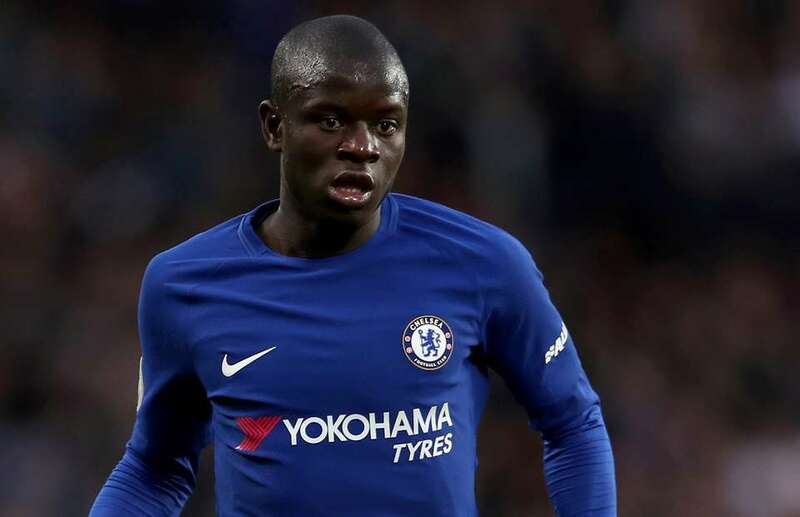 Kante was an unused substitute in the 2-1 victory over Cardiff City but he’ll be recalled into the starting XI on Wednesday. 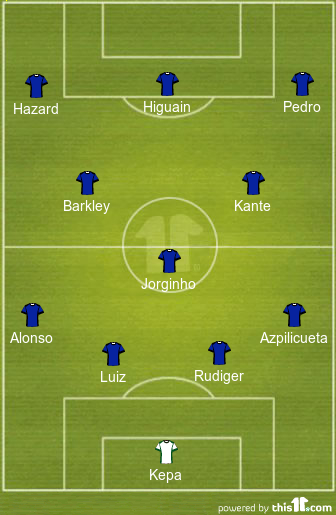 Between Barkley and Kovacic, Sarri could go with the former for the final spot in the midfield. 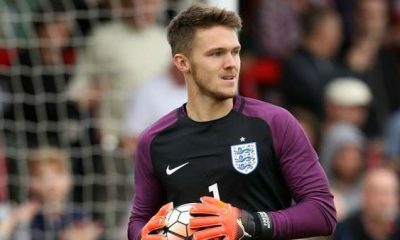 The England international will look to repay his manager’s faith by putting in a solid performance. On the right, Pedro could be handed another start. The nippy Spaniard will look to cause problems for the Brighton defenders and help the Blues to all three points. 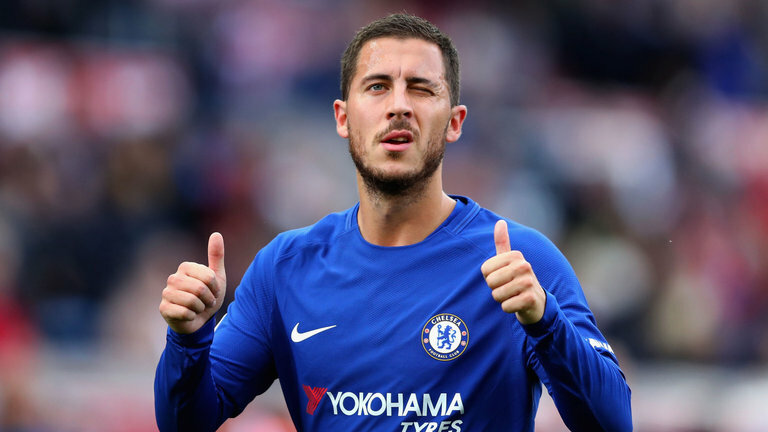 Hazard came off the bench at Cardiff on Sunday. The Belgian is Chelsea’s best attacker, capable of winning games on his own. Higuain hasn’t set the world alight in Chelsea colours, yet he is Sarri’s main man in the attack.